Click here to download a PDF of the Monitor Enrollment Form. Is this your cell phone number? PLEASE TYPE IN YOUR LEGAL NAME. YOUR E-SIGNATURE IS NECESSARY FOR US TO PROCESS YOUR INSURANCE CLAIM. I request that payment of authorized medical benefits be made to me or on my behalf to Cardio Options, Inc. for any services furnished me by that provider. I authorize the release of any medical information necessary to process this claim. I will be responsible for loss or damage to the monitor. I AGREE TO BE FINANCIALLY RESPONSIBLE FOR ALL CHARGES. I HAVE READ THIS INFORMATION AND UNDERSTAND IT. Is the patient signature on file? Please type in your full legal name to e-sign. Please type in your initial here to e-sign. 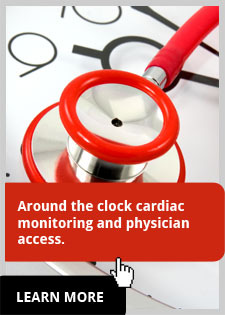 Authorizes using an auto-trigger (AT) cardiac event monitor in place of the telemetry if patient does not meet enrollment criteria or is not approved by insurance.